Adam Warren dug in for the first start of his big league career tonight, dealt to Alejandro De Aza, and came up with a satisfying strike out. Let’s leave Adam Warren right there because it was mostly a mess after that and why rub it in? The Yankees were on the board early and looked to be playing the part of a big brother protecting his younger sibling his first time out at the playground. The Yankees gave Warren a four-spot in the first, but he must have had a hole in his pocket because it was gone before he could spend it. Girardi mercifully ended his night in the third and handed the ball to David Phelps. Phelps would be a better option than Warren to begin with – he’s been better in the Minors and looks to have better stuff based on their side-by-side comparison tonight – but he’s been in the bullpen all year and is not prepared to throw a lot of pitches. 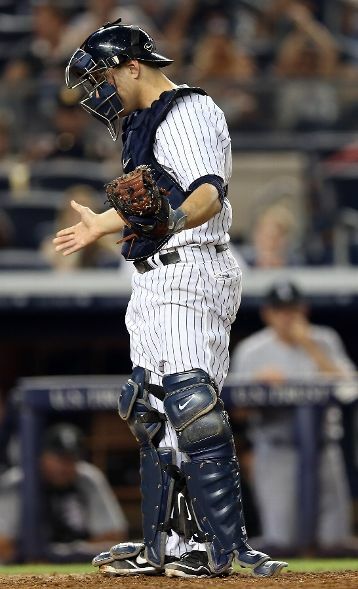 The Yankees tied it at six in the fourth, but Yankee runs seemed to bring out the worst in the pitchers. Phelps gave the White Sox the lead back one batter into the fifth. Pitching for the White Sox was a Yankees cast-off named Jose Quintana. He had pitched well in the low minors, but he was not in the Yanks plans. They let him walk as Minor League free agent and the White Sox snatched him up. He’s been great for Chicago so far, but the Yankees bashed him around for four innings and he seemed destined to be on the losing end whenever the runs stopped scoring. He had nothing and seeing him out there in the six was shocking. But the Yanks went cold and stupid while the Sox tacked on more runs. The lowlight was either Robinson Cano’s brainless pick-off in the fifth or Cory Wade’s lifeless pitch to Alexei Ramirez, sporting a .563 OPS heading into the game, in the seventh. The homer helped Ramirez add .032 OPS points tonight and finished off the Yankees. The White Sox kept scoring from there and piled up an ugly 14-7 victory. Joe Girardi’s binder must have said “14-7 = time for a position player to do some pitching.” Dewayne Wise got the last two outs so quickly the other pitchers didn’t even have time to take notes. Hard to find any redeeming qualities in that game. I'm not going to cue it up now on mlb.com. Maybe watch the Sox beat up the Mariners on TV instead..yikes.. Anyone on the Banter familiar with the "Pinstriped Bible"? So many Yankee blogs out there, I generally just stick here and LoHud for game updates. Is that one worth checking out? They have some good analysis pieces, but the posts are infrequent. Worth a look. At least that's my take. This game exposed the Yankee weaknesses due to the injuries. There were no other options in the bullpen from the domino effect of the missing starters. The Yankees hitters better get better, because the team will need 7 runs in many games (although last night, that was only half enough). The season is getting interesting, hopefully it won't be frustrating. 3) Pinstriped Bible is the daddy of all Yankee sites. Steven Goldman started it in the late '90s. He's just moved it over to SB Nation so it is in transition but if you like good analysis, Steve is the Don. And after coolin' it for a minute now that they are on SB Nation, the posts will be more frequent.